Are you not sure what to do at Disney with a baby? These are five fun and simple must-do’s you MUST DO at Disney with an infant! Y’all, I am so excited that we’re taking the little one to Disney this week! It’ll be our first big trip as a family of three and I cannot wait to see how he’ll react to all the sights, sounds, and smells while we’re there. He’s also finally old enough to interact with the characters a bit, which is going to be so much fun to see! In preparation for our trip, I’ve been doing a bit of research on what to do with an 8 month old. Because let’s face it, while I’m a pro at adult-only trips I have no clue what to do at Disney with an infant. I’ll admit that I’m a little nervous about our upcoming trip. I have absolutely no idea what to expect, and I’m hoping that our little one does well on the 13 hour car ride we have to do to get down there. But even though I’m nervous I am super excited to! Because it’s the first trip that’ll get the little guy on his way to being a Disney addict like his parents! 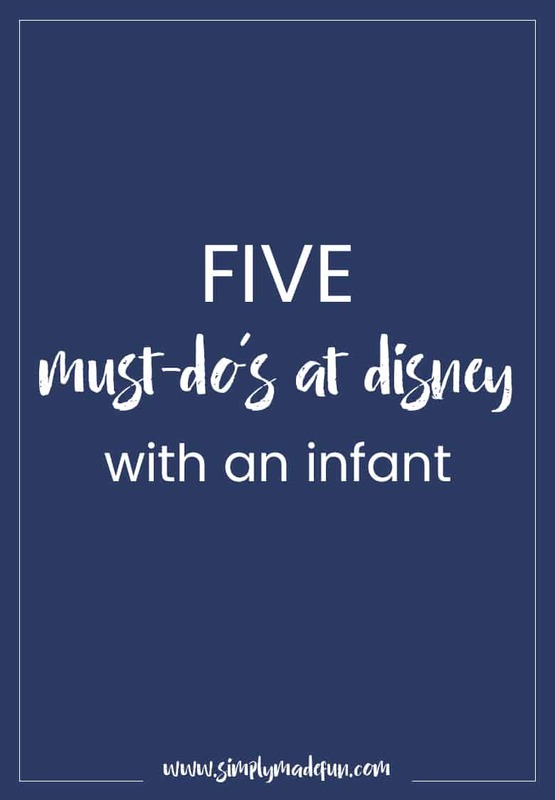 So, with all my research I’ve come up with five must-do’s you have to do at Disney with an infant! I cannot wait for our little guy to meet some of my favorite Disney characters! Fastpasses are booked and plans have been made for him to meet a few of our favorites. One way to make this really special is to get something special for the characters to sign. I’m going to take a large wooden letter and have the characters all sign it, and each trip we’ll add a letter until his first name is finished! Doing something you can display (like a picture mat or a large wooden letter) that has all the characters signatures on it is a great way to remember the trip. At Disney’s Magic Kingdom there is a barbershop on Main Street that you can get your hair cut at. Chris and I have already decided that our little one will get his first hair cut there, because what is cooler than getting your first one at Disney World? I mean, seriously! Disney has photopass photographers all around the parks at different “picture-worthy” locations which Chris and I don’t typically take advantage of because you have to buy each photo. Well, not anymore if you have an annual pass! All photopass photos are available for download with the new passes, which means Chris and I can finally get some great family photos! Because, I’m terrible at getting in the photos when I’m the one taking them. So this trip I’m going to make sure we get tons of family photos at all the different parks! I’m not lying when I say I’ve thought a lot about what the little guy’s first ride will be. Chris probably thinks I’m crazy that I’m putting so much thought into it, but his first ride needs to be a family favorite. And one of my all-time favorites is Peter Pan. So that’ll be what we go on! I used to think that once we had a baby there wouldn’t be a lot to do but that’s really not the case! Many of the rides (like Peter Pan, It’s a Small World, and Ariel’s Under the Sea Adventure) allow you to hold your infant in your lap. And you can also do all of the shows with your little ones! We’re not making reservations for this trip but for his first birthday we are most definitely going to do at least one character meal! 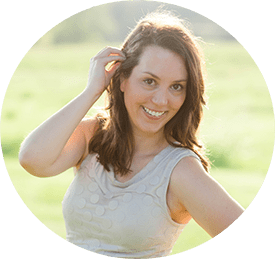 This is another fun way to get one-on-one time with your favorite characters and it’s an experience that you and your kids will never forget! I still remember meeting Pocahontas and John Smith back in 1997 (and have the pictures to prove it!). If you have every traveled to Disney with an infant, what are your must-do’s or tips that have made your trip easier? I need all the help I can get! You guys are going to have so much fun!! You’re making me want to plan a trip down there to meet up with you guys once my little girl is a bit older!